This option is to be able to import Internet Options, cookies, browsing history, and favorites from Internet Explorer to Firefox. You will not see this if this is the first time running Firefox after installing or resetting to default. 8. You can now close the Firefox Library and Firefox if you like. 10. You can now close Internet Explorer if you like. 16. 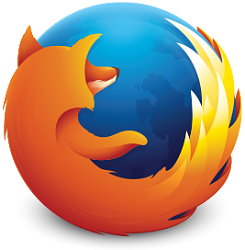 Your Internet Explorer favorites have now been imported into your Firefox bookmarks. 17. You can now close the Firefox Library and Firefox if you like.